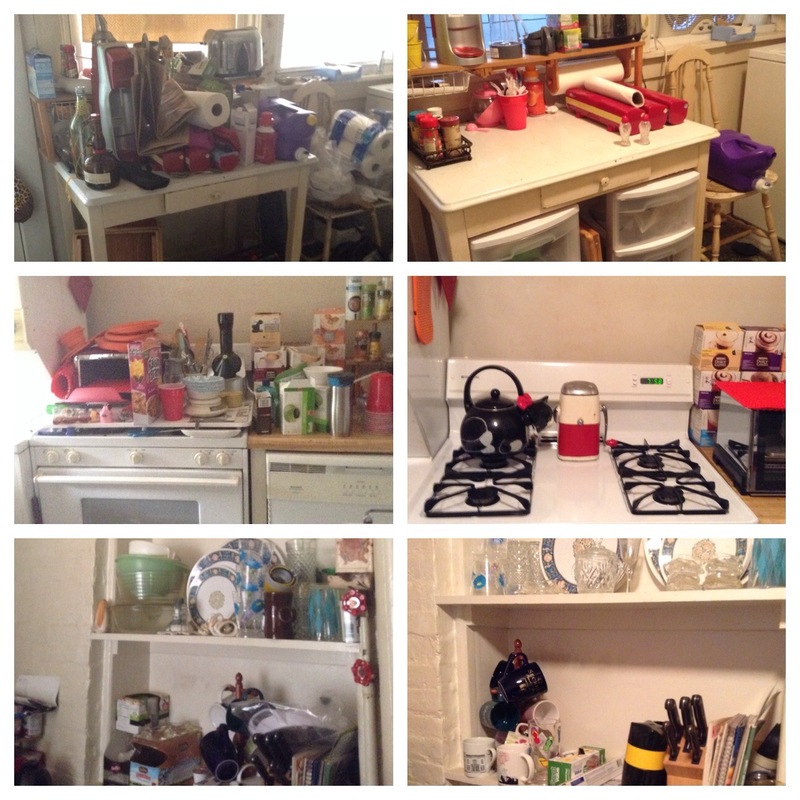 A Before and After Shot of The Kitchen show the Hard Work and Love That Erin Hodges of Charm City Organizers put in along with me! We worked for 3 Hours with a short break and I did a bit of Finishing Touches Home Work and added 2 Roll Away Carts. I am beyond pleased with the progress! Finding Flat Surfaces under Mountains of Mess made my heart Leap for Joy! Erin and Charm City Organizers Are The Best!